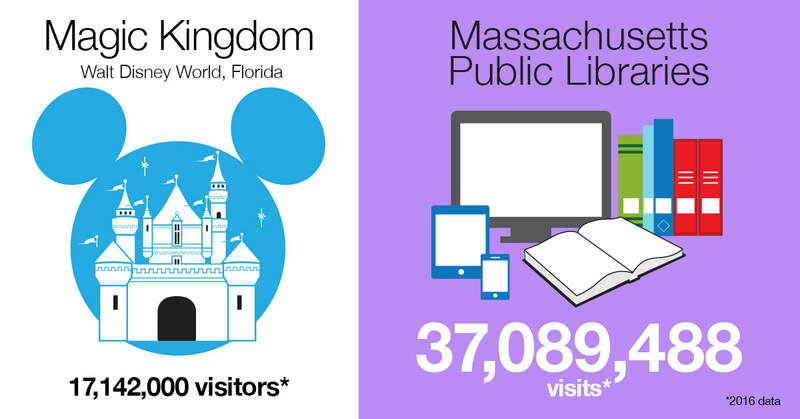 Our libraries are busier than the happiest place on earth! The Pembroke Public Library has so much to offer residents and visitors of all ages. There are over 100,000 items in the library. There is also over 3,547,581 items in the SAILS Library Network. That's not all! If you still can't find that title, we may be able to get it for you through a wide range of libraries that share their resources. We also consider titles for purchase. More than books, cds, DVDs, magazines and newspapers, we offer events throughout the year. There are lectures, musical performances, film showings, craft programs and so much more. There are also eleven computers for your use, as well as free WiFi. The young adult room features popular fiction titles, magazines, and music as well as a large collection of Manga. In the children's services area we offer story times and crafts, library tours, and special performers. The collection also includes books, music, magazines and movies from baby to 6th grade. We also have four children’s computers to play games at the library, and an AWE Early Literacy Station computer purchased by the Friends of the Pembroke Public Library.